How to Light a DWDM Ring Beyond 10G? Network layout nowadays is no longer limited by old rules created for early Ethernet networks. The technology and infrastructure devices available currently allows for different network topologies, including bus, star, ring and mesh networks. Each of them has its benefits and drawbacks and can be combined to suit application needs. This article emphasizes on the DWDM ring network configuration, illustrating the approaches to build a fiber ring beyond 10G. What Is a DWDM Fiber Ring? A fiber ring refers to the network topology in which each node connects to exactly two other nodes, forming a single continuous pathway for signals through each node. A ring configuration is designed to withstand a single failure. If there happens to be a failure, the system automatically reconfigure itself. Similarly, a DWDM ring network includes a fiber in a ring configuration that fully interconnects nodes. Two fiber rings are even presented in some systems for network protection. This DWDM ring topology is commonly adopted in a local or a metropolitan area which can span a few tens of kilometers. Many wavelength channels and nodes may be involved in DWDM ring system. One of the nodes in the ring is a hub station where all wavelengths are sourced, terminated, and managed, connectivity with other networks takes place at this hub station. Each node and the hub have optical add-drop multiplexers (OADM) to drop off and add one or more designated wavelength channels. As the number of OADMs increases, signal loss occurs and optical amplifier is needed. How to Create a DWDM Fiber Ring Beyond 10G? Assuming to build a higher than 10G optical ring using two strands of dark fibers, all nodes in this ring configuration are less than 10km apart and there are 8 nodes in total. Here we illustrate the options for achieving a DWDM ring beyond 10G. For a 20G ring, the configuration is rather simple. 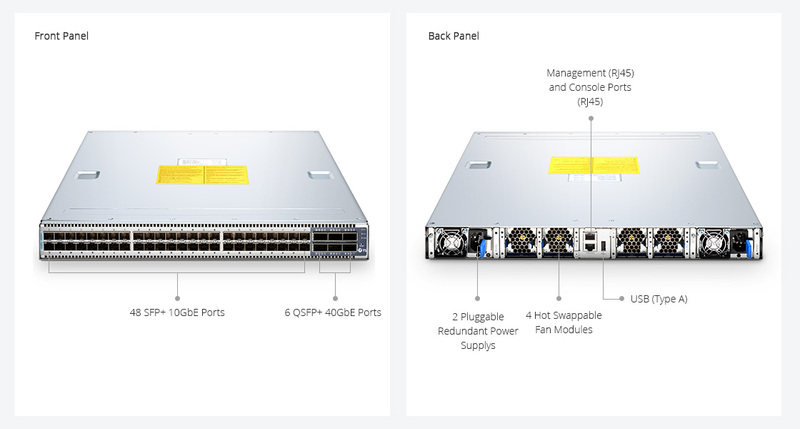 There is no need for an OADM or Mux/Demux, it is recommend to use an Ethernet switch with two SFP+ ports and a pair of BIDI SFP+ optics. There are three options for creating a 40G DWDM ring. 1. Use a switch with QSFP+ ports, and using QSFP+ optics in accordance. This can be the most cost-effective option for 40G if you have no future plan for more than 40G on the ring. 2. Use four 10G SFP+ optics and a CWDM OADM. You could even scale up to 18 channels giving you a 180G ring if you were use all 18 CWDM channels and had that large of a OADM or Mux/Demux. First four channels with lower cost SFP+ optics, wavelength 1270nm through 1310nm. Then the next 14 channels 1350nm to 1610nm adopts SFP+ with relatively higher cost. You would need a SFP+ port per channel on both ends, and a passive CWDM OADM. 3. Use 10G DWDM SFP+ optics and a DWDM OADM. You can choose less expensive 100Ghz optics that have up to 40 or 44 channels, or the expensive 50Ghz optics that can reach up to 80 or 88 channels. 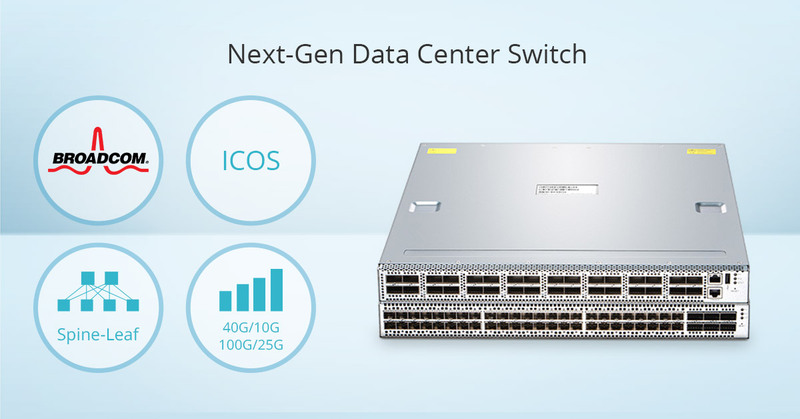 As for a 100G fiber ring, you can count on Ethernet switches that have 100G QSFP28 uplink ports, along with 100G QSFP28 optics. This would allow a 100G connection each way around the ring. Fiber ring enables more reliability and survivability: if a single link failure should occur – the traffic can simply be sent the other way around the ring. With the pervasiveness of Ethernet technology, the ring architecture is widely adopted to construct a Metropolitan Area Network (MAN), Metro-Ethernet service and school district that uses municipal fiber pathways. Several options for creating fiber ring beyond 10G are presented, along with the optical components needed. Hope this could be informative enough. This entry was posted in WDM Optical Network and tagged 10G BiDi SFP+, CWDM OADM, DWDM OADM, DWDM ring, DWDM ring topology, Ethernet switches on September 9, 2017 by Aria Zhu. Wavelength-division multiplexing (WDM) is nothing new to us. It is a technology that multiplexes multiple optical signal on a single optical fiber by using different wavelengths of laser light. 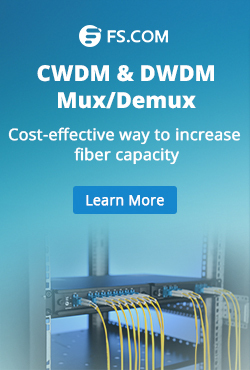 The multiple transmission paths involved in WDM network effectively relieve fiber exhaustion and extend link capacity, but they also make facility protection more essential than ever, because solid facility protection is the key to the availability of the link and the data being transmitted. This article introduces two methodologies that proven to be valid for optical link protection: electrical switching and optical switching. Why Facility Protection is Essential to WDM Network? With the explosion of information, the demand for extremely high-capacity data transmission began to soar. Enterprises and companies were asked to deliver greater volumes of traffic at much higher rates. Which spurs the need to store data in different facilities and to transport these data over different paths, so that if any network failure or downtime occurs, they can soon recover and keep the business running. In a properly protected WDM network, customers will have two or more sites that are connected to each other by diver paths, ensuring the availability and reliability of the network all the time. But fiber may break for many reasons including damage from the physical environment and human faults. Thus facility protection becomes vitally important. There are basically two methods for optical facility protection: one is electrical switching which adopts a cross connect to duplicate and select the working or protecting path, with two independent optics involved per each path and two Mux/Demux. And the other is optical switching, unlike electrical switching, it typically uses an optical switch to select the working or protected path. In electrical switching, each service is simultaneously transmitted and received from two dark fibers. The signal from the device on the left side is transmitted to both working and protecting fiber, then it is delivered to the end device on the right side. So how the cross connect duplicates the Tx signals and selects the working and protecting path (Rx) for the receiving signal? In fact, the Tx signal is sent through the cross connect and duplicated through both transponders. On the Rx direction, the cross connect switches the signal to the receiving optical power of the transponder. An optical switch is involved in this method to duplicate the data to the working and protecting fiber with an optical splitter, and selecting the operating fiber according to the optical power signals of all the services. One of the distinct differences between optical switching and electrical switching is that it simply offers no protection for the WDM optic. 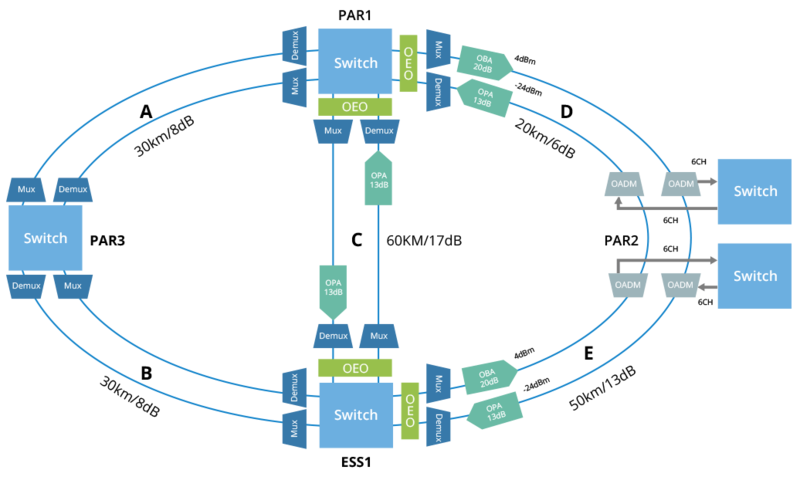 Electrical Switching vs. Optical Switching: How to Choose? When applied for optical facility protection, both methods have their benefits and drawbacks. For electrical switching, the WDM optic is better protected since it uses two uplink transponders per service – one for working and the other for protecting. Since protection is delivered per service, once a single service needs to be switched, the other service won’t be disturbed. Moreover, electrical switching is suited for any network topologies, and no power budget loss is associated with this method. However, electrical switching generally adopted more WDM optics and an additional Mux/Demux, hence fewer services are available through each unit, and it inevitably increases total costs. While for optical switching which does not offer protection for WDM optic, more ports are available to transport services on each unit. Besides, no additional Mux/Demux is required in this method, so the overall cost of the solution can be decreased. The drawbacks of this method are that the optical switch lowers the optical power budget of the link. And optical switching is not suited for ring topologies for the fact that add and drop functionality is not available per wavelength. Optical facility protection impacts the link availability, performance and reliability to a large extent. Your choice on facility protection method should always base on your specific needs, and taking power budget, network topology and cost into consideration. I hope this article would be helpful for you to make an informed decision. This entry was posted in WDM Optical Network and tagged electrical switching, facility protection, optical switching on June 15, 2017 by Aria Zhu.